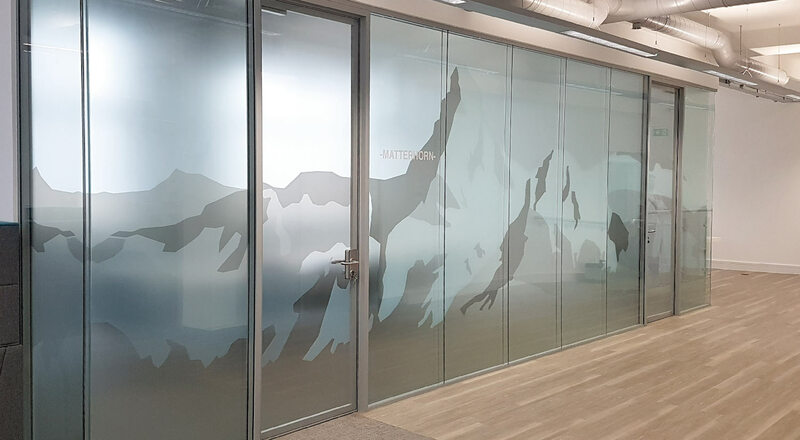 4d creations artworked, produced and installed these white ink frosted window manifestations for the world’s leading supplier to the Pharma & Biotech industry. 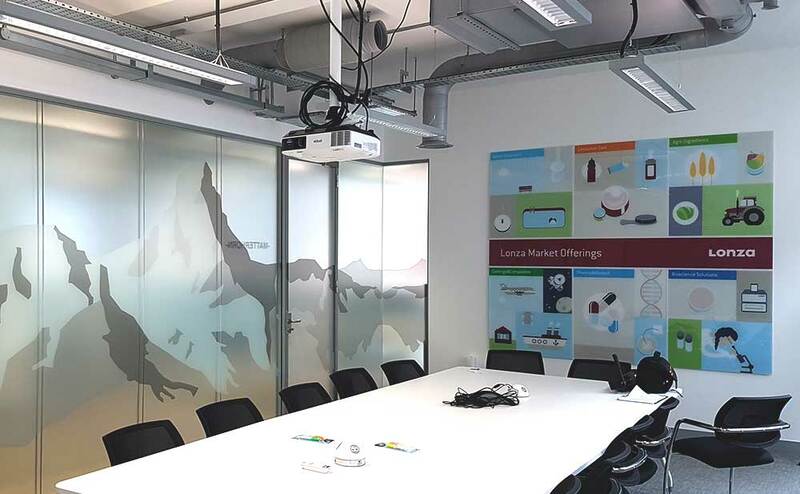 It was important to keep the design as crisp as possible to reflect the sharp, modern interior design colour pallet and theme by office fit out specialists Stonehouse Projects. 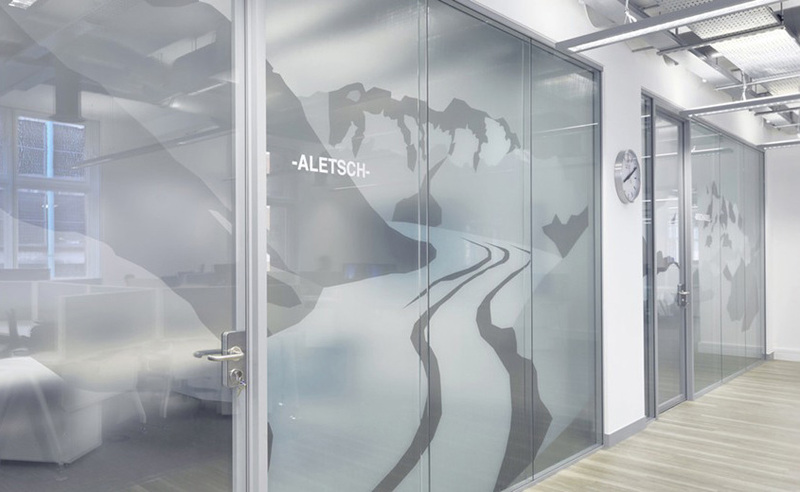 The company’s Swiss roots inspired the window graphic theme with the client opting for Swiss mountain ranges in varying white ink opacities. Privacy was key in each of the meeting rooms, so a multiple printed layer was used to dilute and obscure your view into the glazed spaces while allowing light into each area. An acrylic artwork piece was also created for the main meeting room which was hung on hidden fixings to create a floating effect.